Doxpop - Tools for Attorneys and Public Information Researchers: E-filers: A much more friendly and feature packed 'My Electronic Filings' page is here! E-filers: A much more friendly and feature packed 'My Electronic Filings' page is here! The My Electronic Filings (MEF) page has gotten a new look and new features. First, a new layout that we feel is much easier to follow and read. Each envelope can be collapsed and expanded to hide or view details, meaning a much less crowded page. The search criteria have not changed, and the 'filter' field at the top right still allows you to quickly locate a filing by entering any word or phrase displayed in the envelope details. When you first visit the page you'll notice we default to all the envelopes being 'collapsed'. To see the details and documents for an envelope just use the small triangle icon to the left to expand or collapse document details. If you want all envelopes to be expanded or collapsed, use the icon in the header. 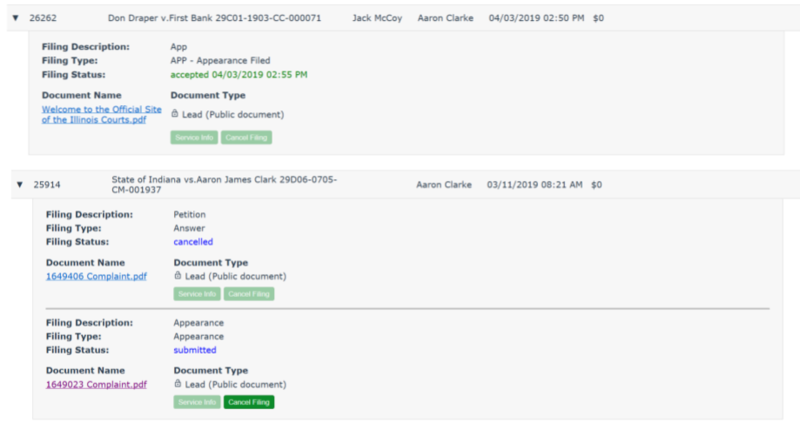 For new cases, the location (county) the case was submitted to will show in the case number/name field until the envelope is accepted and a case number assigned. We added this because we have found that a regular mistake people make is selecting an adjoining location from the drop-down list during initial filing. In the details, we now display the document's security setting so you can now double check that you marked that filing as confidential. 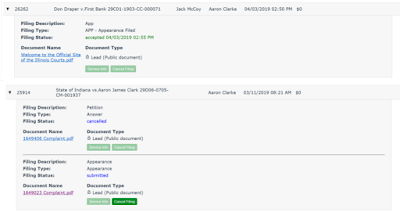 Color coding highlights filings that may need attention. What do you think of this updated page? Have a suggestion of your own? Let us know by emailing support@doxpop.com.